World’s greatest show is back again with amazing ideas and innovation. Be a part of Maker Movement and showcase your hidden talent with the world. 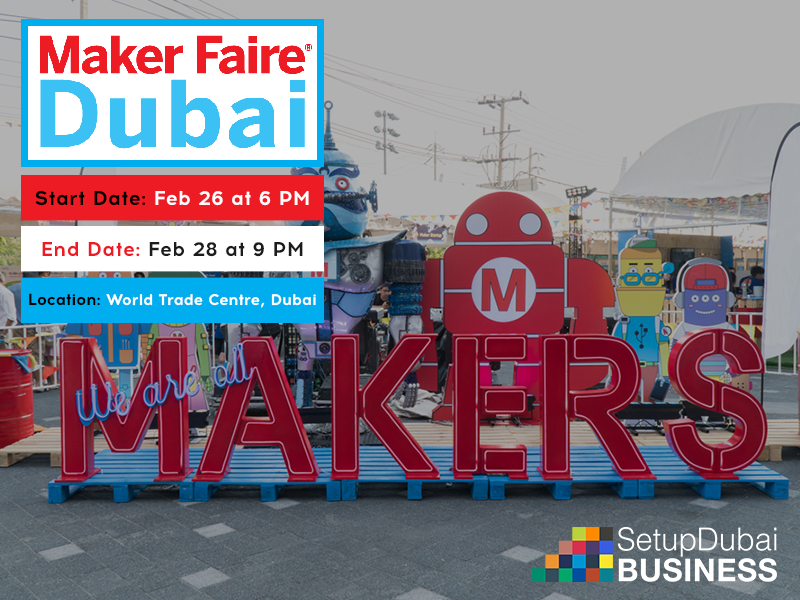 Held in Dubai world trade center, Maker Faire is a showcase of creativity, ideas, and inventions. Here you can find anyone regarding any field such as artists, students, engineers, food artist, tinkerers, crafters, educator and Advertisement exhibitors. People come here from around the globe to share their beautiful ideas with the world. Come and join the Maker Faire to see the future of our nation and find inspiration of your own.